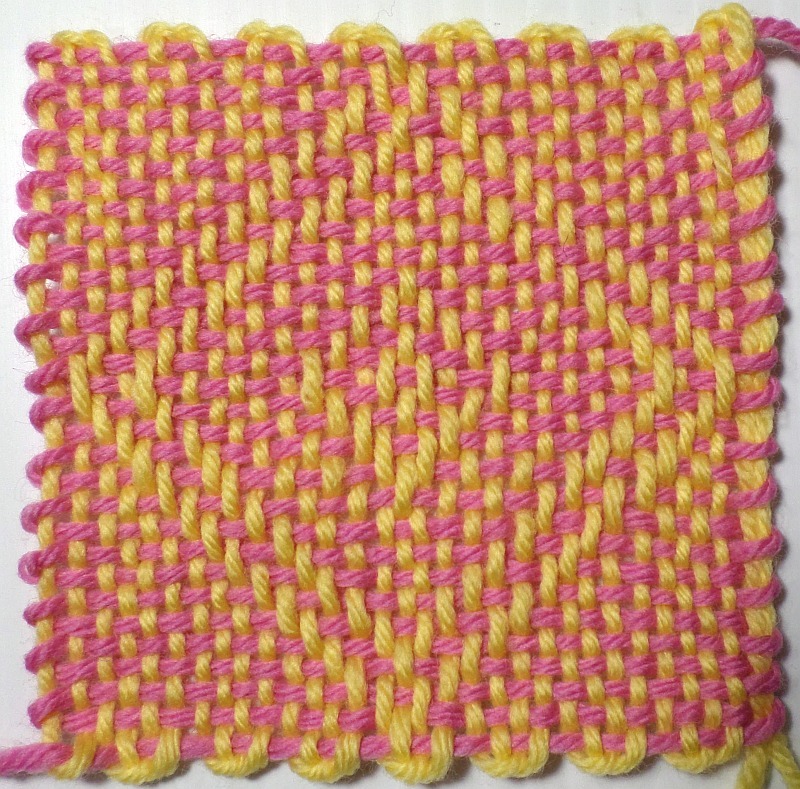 Not wild about my color choices for this square—I’d prefer a stronger contrast—but you can learn from my mistake. I think it’s fun to see the front and back of the square. 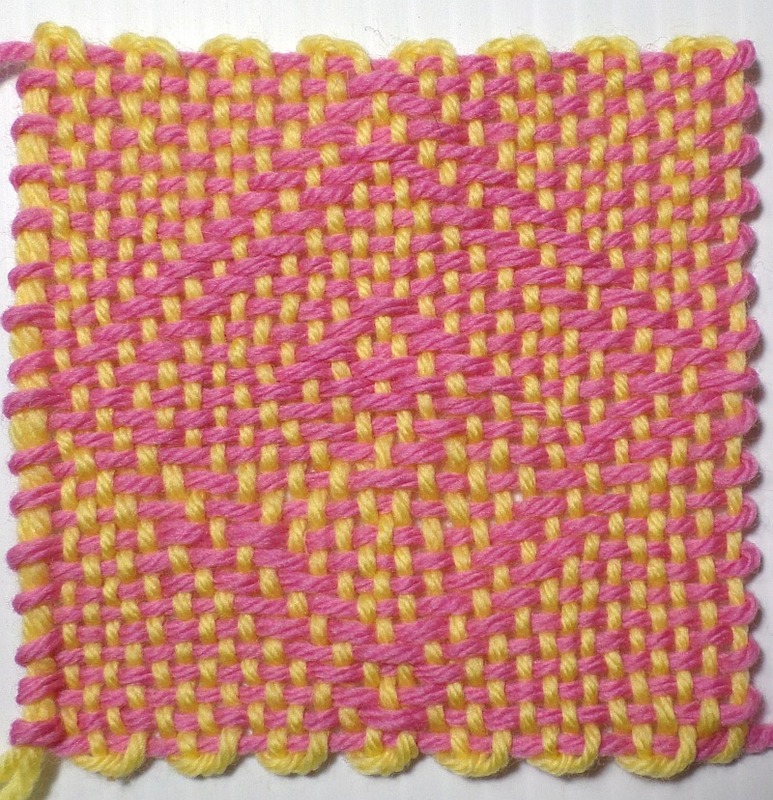 Explanation of colors: pink squares are Under stitches, blue squares are Over stitches; white stitches are also Over (P).